The UAMS Allergy, Endocrinology, Podiatry, Pulmonary and Renal clinics are housed in the space that used to be the Internal Medicine North clinic. 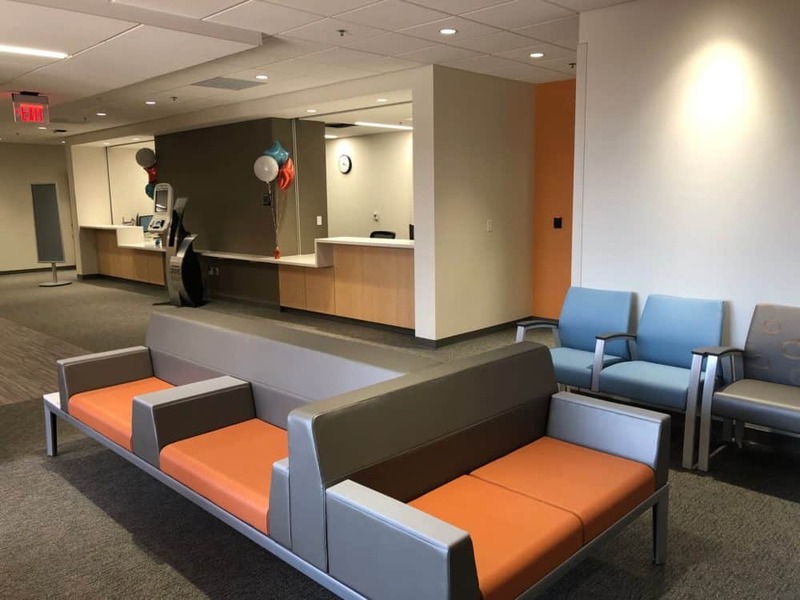 Jan. 25, 2019 | The former location of the Internal Medicine North clinic has been completely renovated over the past eight months and reopened Jan. 2 as the new home for the UAMS Allergy, Endocrinology, Podiatry, Pulmonary and Renal clinics. The newly remodeled UAMS Allergy, Endocrinology, Podiatry, Pulmonary and Renal clinics has 17 exam rooms. The new 10,000-square-foot space has 17 exam rooms, two gender-neutral handicap-accessible rest rooms, a patient education room, clinician work space and a staff break room. Physicians, staff, patients and families have all been extremely pleased with the new space. 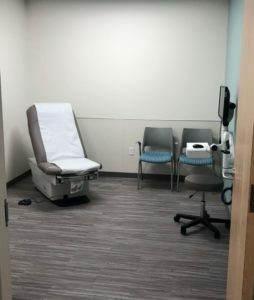 In addition to the clinics, directory signage, lobbies, the lab and certain restrooms in the Outpatient Center have been renovated over the past several years. To schedule an appointment with one of the physicians practicing in the new clinic, call the UAMS SmartCare appointment line at 686-8749.